Back in May, we reported that one of the reasons Paramount delayed G.I. Joe Retaliation 3D was to shoot more scenes with Channing Tatum. He originally had a smaller role in the sequel, but that, of course, was before the actor blew up with hits such as 21 Jump Street and The Vow. 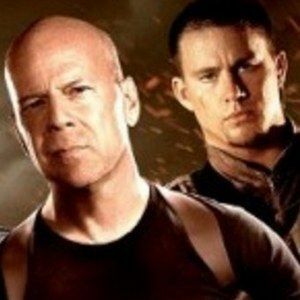 Today, the studio has debuted yet another international poster for director Jon M. Chu's sequel, that includes Channing Tatum (Duke) alongside Bruce Willis (Joe Colton), Dwayne Johnson (Roadblock), Adrianne Palicki (Lady Jaye), and Ray Park (Snake Eyes). This one-sheet also includes Ray Stevenson (Firefly), Byung-hun Lee (Storm Shadow), and Elodie Yung (Jinx). Check it out before this 3D action-thriller debuts in March.